This website has been created to provide standards compliant free website templates. You will find a variety of free website templates in the categories above. I also have a portfolio section for my own design work. 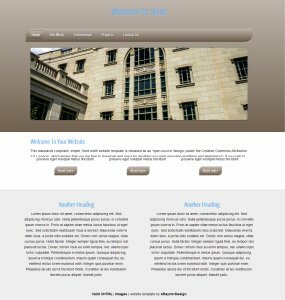 Please feel free to contact me with any questions you may have about my free website templates. Then consider professional forest of dean website design. If you would like to remove the ‘website template by ARaynorDesign’ link from the footer of a template / website, all I ask is for a donation of £20.00 GBP. The latest work can be found below. Alternatively, please visit the Templates or CSS3 Templates page for more designs. 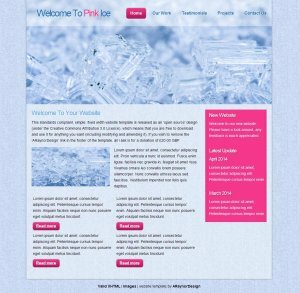 This 5 page website template uses blue, grey, pink & white. Images are provided by http://fotogrph.com. It contains CSS3 code. This 5 page website template uses various shades of beige, grey & white. Images are provided by http://fotogrph.com. This website template uses CSS3 code. UK based website hosting company HostPresto.com are also a fantastic option for your website hosting. If you like my website templates, please consider a small donation to support their production. If you wish to use a template without the link back to ARaynorDesign, all I ask is for a donation of £20.00 GBP. Please let me know the URL of the site where you will be using the template without the link. Need Help With Search Engine Optimisation?